Am I the only person who regularly has leftover quinoa in my fridge? 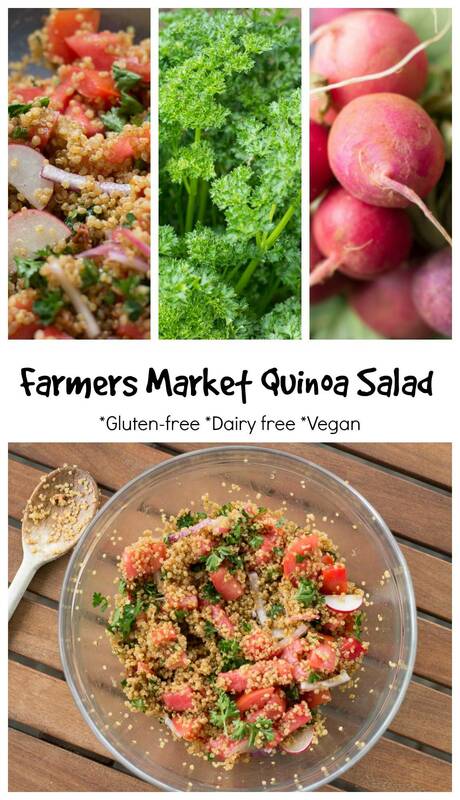 If you’ve got quinoa, or if you are looking for an excuse to make some, this Farmers Market Quinoa Salad is calling your name. This salad is bright and refreshing. A perfect “salad” for anyone who doesn’t love lettuce – like my oldest son! The theme for this week’s Sunday Supper recipes is easy dinner salads. This is it, friends. Even if you don’t have leftover quinoa in your fridge (that’s just me, right? ), you can make this in a snap. If you haven’t discovered how awesome quinoa is, get on it. You can even make quinoa in your rice cooker. Set it and forget it. Once you have cooled quinoa, just add all of your favorite farmers market veggies. 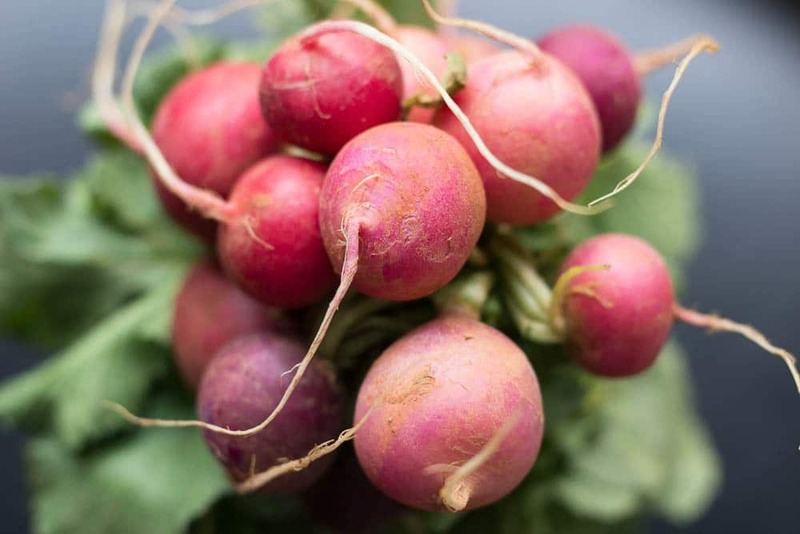 Radishes!! Stunning. You need these in all of your salads. 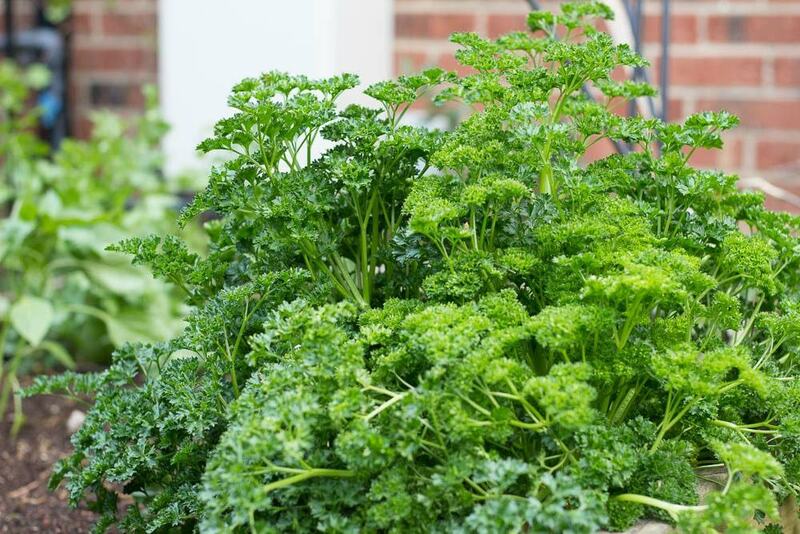 I love this time of year at the farmers markets – so many beautiful choices! I picked up radishes from the farmers market, local hydroponic tomatoes, parsley from my garden, and a little bit of red onion courtesy of Harris Teeter. I tossed my leftover, cold quinoa with a hodgepdge of delicious farmers market ingredients and some of the leftover lemon vinaigrette from my panzanella salad from the other night (just olive oil, red wine vinegar, and lemon juice!). DELICIOUS. And, really, can you get any easier? This is the perfect summer dinner salad. Quinn told me I could sell this at a restaurant. AWWW. I’ll keep him. 😉 I didn’t even have to pay him very much to say that. 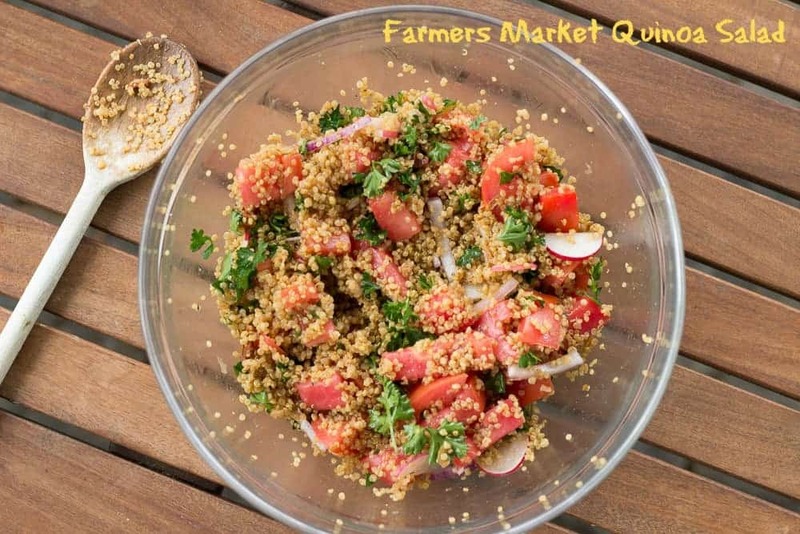 This easy farmers market quinoa salad is a great addition to your summer dinner lineup! 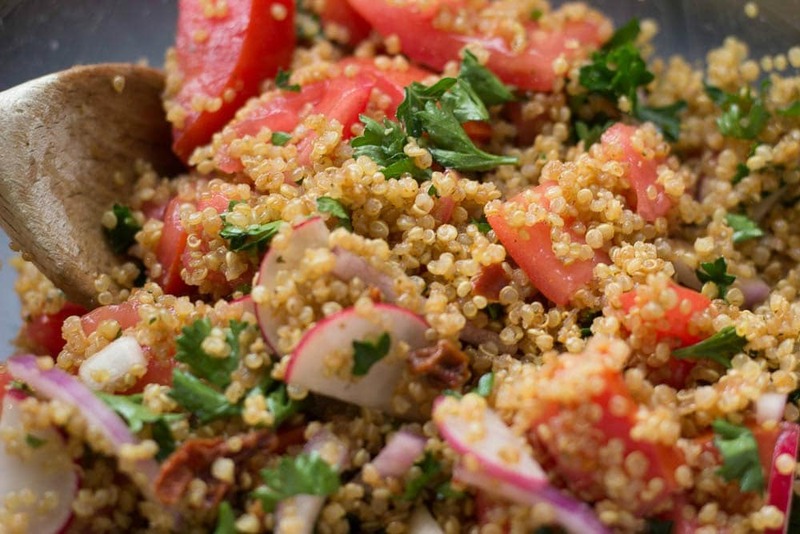 Combine quinoa with radishes, tomatoes, parsley, red onion. Mix ingredients for dressing - lemon juice, red wine vinegar, garlic, and olive oil. Shake. 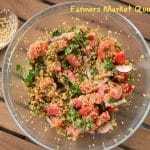 Pour dressing over quinoa salad. Toss. So easy in my rice cooker – I have a zojirushi rice cooker but I imagine others would be similar. I use a 1:2 quinoa to water ratio and set it to white rice. I am intrigued by the sushi rice setting now that you mention it!! I too always have leftover quinoa so that is why I made my quinoa salad. Great minds think a like! You have inspired me to go to a farmer’s market this soon. I forget about all the wonderful goodies they have there. Great recipe! Thanks, Denise! Quinoa really is such a versatile leftover! !